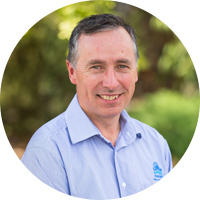 Bob is General Manager of Bermad Water Technologies (BWT), Australia’s leading distributor of state-of-the-art diaphragm actuated control valves and water technology solutions. A qualified Civil Engineer, Bob has more than 35 years’ experience across technical, sales and marketing of engineered products, including roles with Humes Concrete and Plastic Pipes and Vinidex Plastic Pipe divisions. Bob established BWT in 1989 as the exclusive distributor of Bermad products in Australia. He is joint owner of the business and a strong believer in ensuring BWT delivers on quality products, services and support – every time. 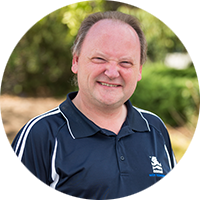 Colin has more than 30 years’ experience working in water supply and irrigation in Australia, including 16 years with BWT. He credits his training at Weir pumps in his native Scotland for providing him with a solid grounding in engineering. Colin is a mechanical engineer and a fitter and turner, who prides himself on taking a hands-on approach when designing and implementing successful installations across all aspects of BWT’s products and markets. As Air Valve Product Manager, Colin performs training seminars in pipeline design incorporating air release valves around Australia. Damian is part of the metering team responsible for the development and technical support of BTW’s flow meters, telemetry and associated flow control solutions. As a qualified instrument technician, Damian has 20 years’ experience in a wide range of process control equipment across many different industries – water, mining, petrochemical, textiles, food, chemical, and others. Regardless of the industry and environment, his philosophy is always the same: to work closely with the customer to clearly understand their needs and help with implementing the appropriate solution. 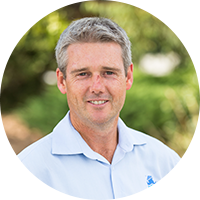 Charlie joined BWT in 2002 as the NSW/ACT State Manager, with the core focus of servicing the growing waterworks, fire protection, mining and agricultural markets. 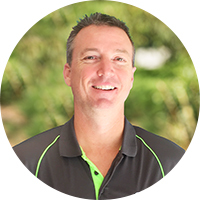 Before migrating to Australia in 1995, Charlie worked for a large gas manufacturing company as a senior manager with responsibilities in engineering projects and business development over a period of 23 years. With more than 35 years’ experience, Charlie has vast knowledge and experience of the market place and a ‘support and service’ attitude to customers. Solution-driven, Charlie prides himself in helping BWT customers design systems, select the correct equipment for their purpose and providing quality support. 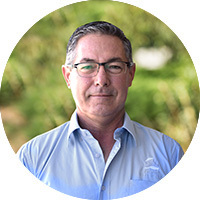 With over 25 years’ experience in the irrigation and industrial water industry, Rod brings a wealth of knowledge and diverse skills in his capacity as State Sales Manager for Western Australia. Rod’s comprehensive working history has seen him flourish both in area sales management and roles in business development. This includes 10 years working in the irrigation market and 15 years’ experience in the pumping sector. He also offers broad experience in training, analysis of suppliers, product development and distribution network maintenance. Michael heads up the metering division. 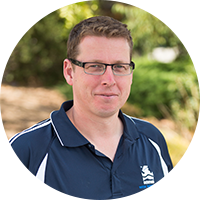 With a Bachelor degree in mechanical engineering from Monash University, Melbourne, Michael brings with him many years of metering experience, gained in various areas across the Australian water industry. He has multidisciplinary experience ranging from research and design in Australian manufacturing industry to international sales and marketing. David has worked in the valve industry in various cross-disciplinary roles for the past 34 years. During that time, he has witnessed and experienced much innovation and change to the market, its products and solutions. South Australia, which has one of the world’s harshest environments has proven to be a good testing ground for BWT’s products due to its high saline ground water and sewage applications. David has extensive experience working on corrosion issues in the water and sewage market in this environment. 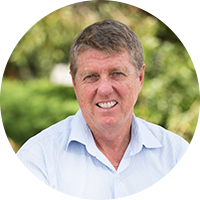 Russ is a veteran of Queensland’s water and waste water industry. 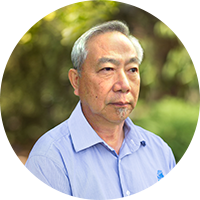 For the past eight years, he has played an integral role in BWT’s Queensland operations. With 37 years’ experience in sales and sales management roles, Russ has a deep knowledge of the technical requirements of pipeline construction and related industry. He has worked across all disciplines of the industry, including construction, supply, procurement and management. With nearly five years’ experience in customer service roles across the Transport and Manufacturing industries, Deb Layt is one of the newest team members to join Bermad’s Victorian office. Friendly, organised and helpful – Deb brings her background in accounts and administration to help support the Bermad sales team with customer enquiries and day-to-day support requests. Since joining Bermad late last year, Deb has been a driving force behind managing Bermad’s purchase order system to ensure a smooth pipeline for customers accessing products. When she isn’t supporting customers, she’s lending a hand to contribute to the various operational, administrative and service elements of the business. Keen to learn and expand her knowledge in the industry, she grows her capabilities by asking questions, learning on the job and attending training opportunities that complement her role and experience. Deb values dedication within the team she works in. It’s why she enjoys working within a team that supports each other – and works together towards providing excellent, friendly and professional service to their clients. With nearly 20 years’ tenure at Bermad’s Victorian branch, Christine offers support across accounts and management for the entire team. 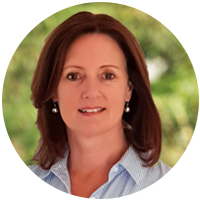 Committed, reliable and professional, Christine has developed her experience in the logistics, construction and manufacturing industries to provide dedicated service to both clients and our internal team. While her expertise lies in accounts, her role encompasses more than just bookkeeping–and she’s known as the ‘go to’ person for all things related to office operations and management. Having spent over 17 years of her career at Bermad, Christine has watched the company grow in offering, team, and velocity. Her tenure has seen her contribute to all areas of the business, and she cites this diversity as being a key factor in the development of her on-the job skills and experience. While she has seen many changes in the industry and at Bermad, one thing remains constant: the loyalty, dedication, and expertise of the team she works with day-to-day.